Bike riding is an aspiring passion for many! But it is not as easy as buying something from the market. It requires rigorous practice and then eventually a 'common rider' evolves into a 'skilled rider'! Like any other achievement, skillful bike riding can't be accomplished without dedication, devotion, time and last but important- money. As this hobby or passion involves significant monetary investments and risks (even your health), training yourself rigorously is very important. Especially in India, riding a high-speed bike is more of a challenge. In the UK, one has to complete a preliminary training course before he/she can ride a motorcycle on the roads. 1. Which bike to start with? Most of the time people are confused about choosing their first bike. The first bike should be of a small capacity: say 100cc bike which is enough to start with and one should ride it for at least 50,000 km. Beginners should ride it for 3-4 years, cover smaller distances so that you will be ready for a bigger bike. We strongly recommend NOT to go for bigger bikes in the beginning. Instead, practice on small bikes first and then steadily move up on the ladder. Distance is the most important aspect of bike riding. How much distance you can cover in a day mostly depends on your experience on your bike, your fitness level, road conditions and terrains. During the early stage of bike riding, the goal should be to cover smaller distances. Don’t push yourself to the extreme during beginning as it may cause excessive strain on your body for which you are not used to. In the beginning, avoid interior roads as they do not have enough fuel stations/service stations. Instead, use national/state highways, as most of them have toll-free helplines in case of an emergency. Know your route well by getting adequate information about fuel stations, refreshment centers etc. along the route. Increase the distance step by step by setting up goals for yourselves. Setting goals and achieving them will boost your confidence level. 3. Group riding or solo riding? Yes, this is a tricky question. Riding solo and riding in a group are two different things. To begin with, start with solo rides. 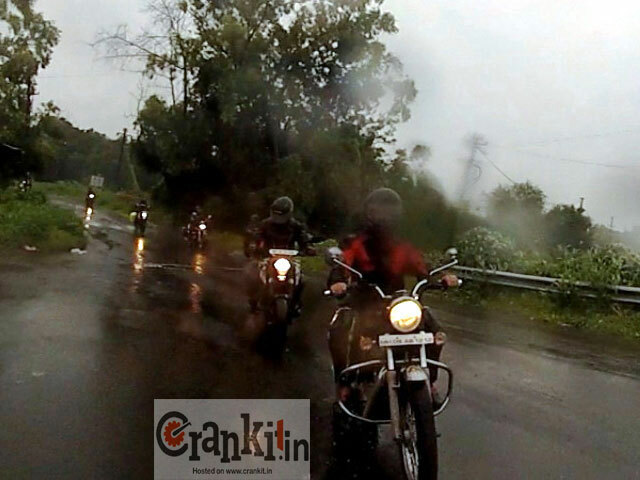 Group riding is totally different as it requires teamwork, speed synchronization, coordination, and patience - something which could be acquired only after significant riding experience. To experience the joy of group riding to its fullest, it is advisable to ride with members having comparable riding capabilities; otherwise, group riding can be a boring experience. Also, all the bikes in the group should be at par in terms of power and performance. So, better start solo and then move to group-riding. 4. Practice, practice & more practice...! The practice has no alternative or excuse. Rigorous practice is the crux of bike riding without which your passion could not be satisfied. You have to set aside some time to practice bike riding. If you can't find time to practice, then it is hard to believe that it is your passion! This is the MOST crucial part of bike riding. Most of the time people say that they don't need any safety gear including the helmet. But it’s totally wrong as safety should be your top-most priority. Always remember, if you remain safe during crashes; you can ride again...!! Specifically, on roads, proper safety gears are very important. Dangerous situations may arise suddenly from nowhere. Start with basic riding gear like helmet which is a legal must. 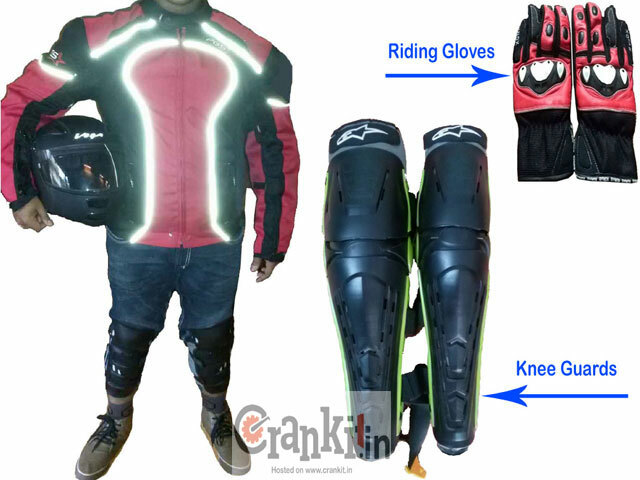 Helmet, gloves and riding jacket are basic gears and each one has its own safety feature. Remember that safety gear is the onetime investment for your well-being on the bike! Most of the people are ignorant about their bike's maintenance. It is the most crucial part of long-distance and hassle-free bike riding. Routine maintenance as specified in the user manual is a must. Periodic changing of engine oil with better quality oil ensures healthy lubrication system and prolonged engine life. Similarly, timely replacement of oil filter, air filter, fuel filter and spark plug etc. avoids unscheduled breakdown. As a bike rider, you must know the basics of your bike's maintenance such as: removing the tire when it punctures or to repair puncture of a tubeless tire and to lube and tighten the chain etc. Everything in your life comes with dedication and so is the bike riding! Sometimes short rides are also enough to keep the passion alive! It’s like do it with dedication or don't do it at all. If you don't do it passionately and with full dedication, you won't do it in your life. You will only keep dreaming about it, but that dream will never turn into reality. For every rider, road safety is of prime importance. Especially in India, not many people are aware of road safety. Following traffic rules such as: obeying traffic signals, following road signs and speed limits are most important for the safety of the rider and his bike. 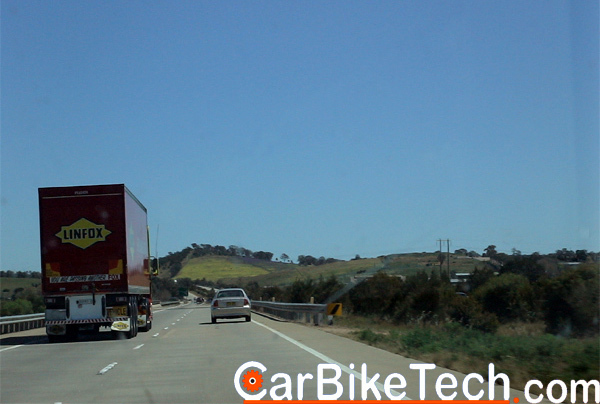 Specifically knowing the traffic rules first and following them is a key task in bike riding. Overtaking from the left side of the highways must be strictly avoided at all times. Also, you should honk before overtaking a large truck so that the driver quickly notices you. Once you are familiar with bike riding for at least a couple of years, think about upgrading your bike and further sharpen your riding skills. Skills like cornering and maneuverings in traffic also require practice which you can try at this stage. You can build a strategy for enhancing the riding skills. You can also join track days and try your skills on race tracks. Riding at night must be avoided in the beginning. 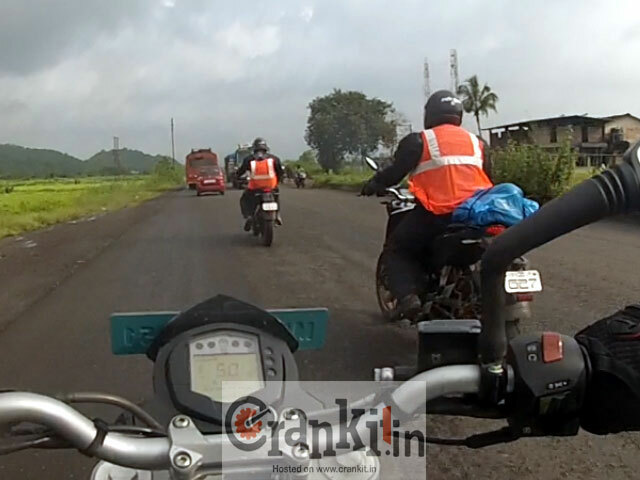 Experienced riders also find very difficult to ride at night on some highways. It involves a lot of risk such as unreadable or missing road signs. Pedestrians, cattle & other animals, dangerous overtaking by other drivers and continuous high beams add to the risk. It's better to avoid night riding, but in case of an unavoidable situation follow these rules: Clean your helmet's visor and ensure it to be free from scratches. Wear a reflective jacket over your riding jacket to improve visibility. Make sure that your bike's headlamps and tail lamps are working properly. During long rides, your saddlebags must have reflective strips too. Your bike must have a reflector beside the tail lamp which helps in case if the tail lamp is not working. We are very sure that following these tips will help to keep the novice riders and their bikes safe on roads. Keep the riding passion flowing in your veins! Ride hard !! Ride safe!!! Home » Articles » bike riding tips for beginners… Read This Before You Ride a Bike. !